Each chew contains a powerful energy blend of caffeine, ginseng, taurine and five B vitamins. One Buzz Bite contains 25% MORE caffeine than the leading energy drink at a fraction of the price. Each energy chew contains 100mg of caffeine per to be exact. 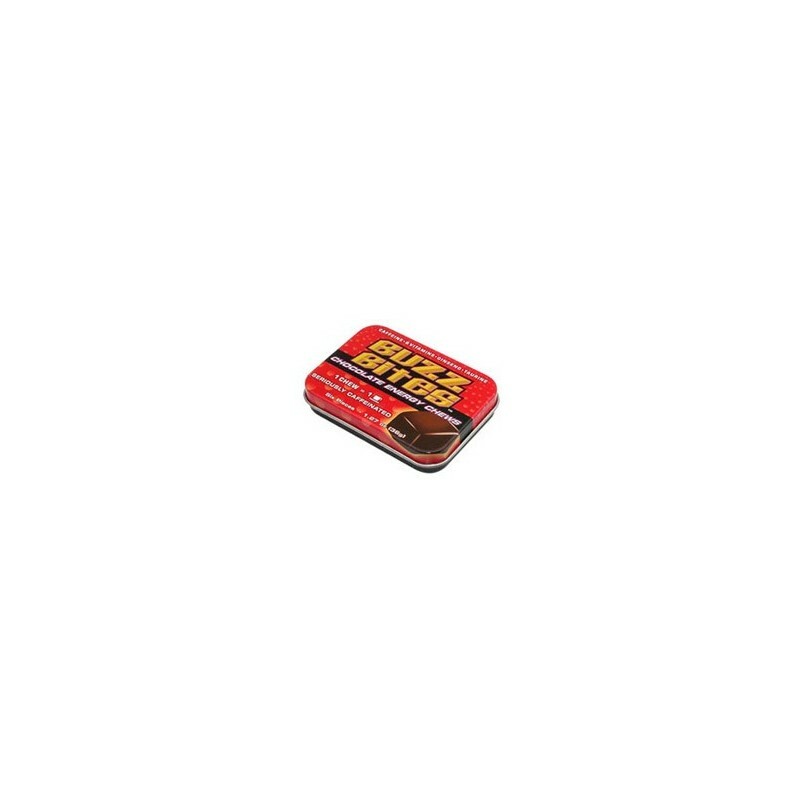 Each tin of Buzz Bites contains 6 energy chews. Thee Buzz Bites are good source of Caffeine.I like how much caffeine is in one tasty little ''bite''.I've tried both flavors(mint and regular) and I seem to like them both.The taste is palatable on both the mints and the buzz is good.I will usually have about 2 bites to get that caffeine buzz.These bites definitely aren't a joke, they do work.If your looking for a taste buzz, try some of these ''bites''. I got one pack of these just to try them out, and I have to admit, they give you a kick! My charge last about 3 to 4 hours. I am definitely buying more. I first saw these at a LAN party and now i cant get enough of them! They have a bit of an aquired taste, so dont be put off if they taste bitter at first. Definitely a must for my mornings! Yum, I love the chocolate ones. They go great with playing video games. Getting the packaging opened is a challenge in itself. Keep up the good work ! I have been using this product for months. I love it! It has the same energy as a cup of coffee without the coffee breath or the dental stains. These are pretty good. Keep in mind that "pretty good" isn't "good". They taste nasty and unwrapping every one can get to be a pain. Great idea! 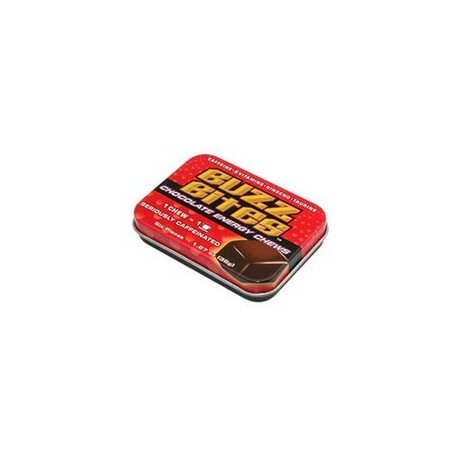 When I need a kick but don't want to fill up on soda or other liquid I always turn to Buzz Bites. The buzz is strong and long lasting. Good buy! Excellent buzz factor, very potent. Mine were very soft, and they are VERY bitter. You can taste every bit of the caffeine, I recommend chewing very quickly.